A flood of eleventh hour entries from some of the uMsundusi and uMngeni valleys’ top canoeing stars has produced one of the strongest fields ever assembled for the Non-Stop Dusi Canoe Marathon from Pietermaritzburg to Durban on Friday despite what paddlers preparing for what are being described as the toughest conditions ever in the 110km race’s twenty year history. Thulani Mbanjwa, Sbonelo Khwela, Banetse Nkhoesa, Richard Cele, Nhlanhla Cele, Mmeli Cele, Mthobisi Cele, Thomas Ngidi, Mzamo Zondi, Khumbulani Nzimande and Sboniso Shozi – all former products or current members of Martin Dreyer’s renowned Computershare Change a Life Academy – are likely to feature prominently at the sharp end of Friday’s racing as K1 and K2 crews alike go head to head for their share of the R46000 prize purse. 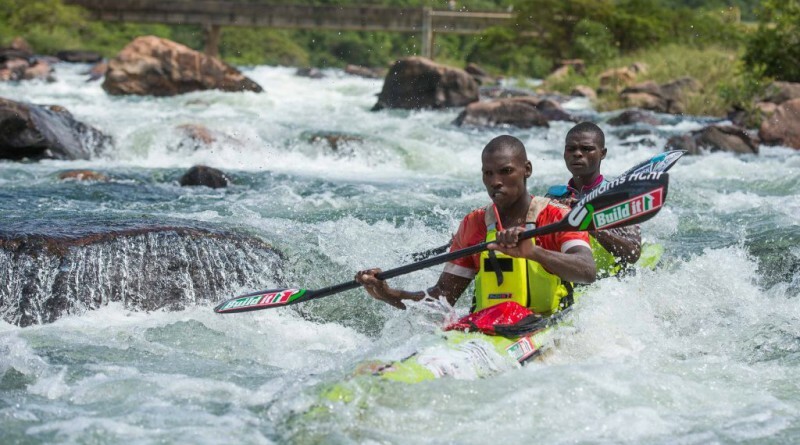 Five-time Non-Stop Dusi winner Mbanjwa has overcome his post-FNB Dusi health issues and will look to defend his title, this time alongside Sboniso Shozi. Success for the Build it/Williams Hunt ace – who won in 2015 with Nhlanhla Cele – would take him one step away from equalling former mentor and paddling partner Martin Dreyer’s record of seven Non-Stop Dusi victories while also aiding in him overcoming a disappointing eighth place 2016 FNB Dusi performance with Shaun Rubenstein. Mbanjwa and Shozi will however have to outclass 2016’s richly talented field if they are to reign supreme, in particular Euro Steel/Red Bull’s 2015 runner-up Sbonelo Khwela. In his K1, the four time titleholder will lead the charge of those looking to go the distance alone and will be hotly followed by the likes of fellow 2010 Non-Stop Dusi winner Thomas Ngidi as well as Soweto Canoe and Recreation Club (SCARC)’s Loveday Zondi. Czech Republic’s Jakub Adam will also tackle the challenge alone as he looks to make amends for his 2016 FNB Dusi disappointment that saw he and partner Jason Graham forced to withdraw on day two after breaking their boat at Gauging Weir. With prize money awarded to the first three boats across the line, regardless of whether they are a K1 or K2, strong all-valley K2 crews Richard and Nhlanhla Cele, Mmeli and Mthobisi Cele as well as Zondi and Nzimande will all be aiming to shine while Nkhoesa will form a dangerous partnership with fast emerging Under-23 star Alan Houston. Mfaniseni Nyambose and Wandile Luthuli too will be eager to ensure they are within the highly competitive top ten mix as they look to fly the flag high for the Natal Canoe Club’s Development Programme. Euro Steel’s vastly experienced Jacques Theron has confirmed his participation with Agrisales’ Carl Folscher while SCARC’s Sipho Qoko and Tsidiso Bobo will consider themselves top ten long shots. A late bout of flu has struck down early pre-race favourite Abby Solms, leaving the Euro Steel star unlikely to challenge for this year’s women’s crown. Having recently claimed her maiden FNB Dusi title, Solms had planned to returned to her favoured K1 – in which she did much of her Dusi preparation – in an attempt to become the first woman ever to win the Dusi and Non-Stop Dusi in the same year. Solms’ illness has now opened the door for the rapidly emerging pair of Kelly Howe and Susan Carter-Brown, who claimed fifth place at the 2016 FNB Dusi, while mother/daughter combo Jordan and Kim Peek will undoubtedly be ready and waiting to pounce on any opportunity their rivals may offer. Shaun Dias and Kerry Segal are likely to lead the five mixed double crews home. For those a little further back in the field, this year’s race represents one of ultimate slog and toil as many of them ready themselves for over twelve hours of racing, much of which will be spent on the region’s paths and dirt roads as a result of the low river levels expected due to the on-going drought. The racers can expect to get some water for the first half of the race, courtesy of the release from the now redundant Henley dam outside Pietermaritzburg, but the outlook for the final 36 kilometres from Inanda Dam to Durban looks bleak, with a small water release at best likely. That will force almost all of the fatigues paddlers to opt for the gruelling run over Burma Road on what is forecast to be a very hot and dry day in the valleys. For the first time in the race’s history since its formalisation in 1997, Eric Bothma will not join his fellow paddlers in desperately trying to beat the race’s three cut-off points – 09h30 at Finger Neck, 14h30 at Inanda Dam and 19h30 at the finish at Blue Lagoon. A hip operation in November 2015 and the expected treacherously low river levels and excruciating heat have seen Bothma’s run of nineteen consecutive race finishes come to an end ahead of what he believes will be the toughest Non-Stop Dusi ever. The 20th anniversary of the Non-Stop Dusi Canoe Marathon gets underway at 05h30 at Camps Drift, Pietermaritzburg on Friday, 4 March with the leading boats expect to reach the finish line at Blue Lagoon in Durban around 13h00.